Larix decidua 'Varied Directions' looks like it is having a "bad hair day". The robust twigs pop up in every direction. Eventually as the twigs thicken the branches will begin to arch down making a very unique configuration. Bright lime green foliage ages to a deeper green then to a glowing gold in the fall. 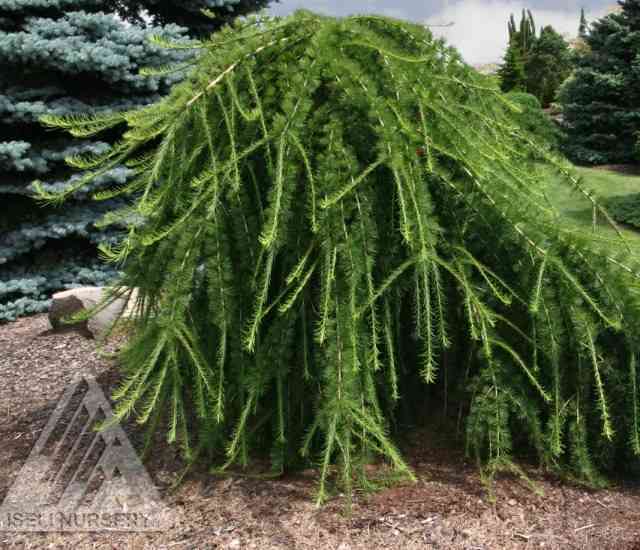 Weeping Larch is quite adaptable to a range of soil types but does need constant moisture. It will require regular watering during the growing season unless it is growing in a very damp site. It is not drought tolerant and will drop its needles if allowed to dry out. It looks its best if it is not pruned but allowed to develop its own unique form.